Rochester Police Chief Michael Ciminelli is resigning to take a job with the US Drug Enforcement Agency. His last day as chief will be September 15 and Deputy Chief Mark Simmons will fill the post on an interim basis starting September 16. In a press release announcing the changes, Mayor Lovely Warren says she "has strongly encouraged Deputy Chief Simmons to apply for the permanent job of Chief of Police." Outgoing Rochester Police Chief Michael Ciminelli. Simmons currently heads RPD's Administration Bureau, overseeing the department's policy development, budget, training, personnel management, labor relations, fleet management, grant management, emergency planning, and police facilities management, the press release says. He joined the department in 2002. He's served as chief of staff to the chief of police and has had assignments to the Organized Violence Reduction Team and the Tactical Unit, says the press release. He's also a former commanding officer of the Professional Standards Section, a background that could be valuable as city officials explore changes to the city's police oversight process. He was also coordinator for the department's reorganization project, and he's a member of the National Organization of Black Law Enforcement Executives. Simmons is a Rochester native and a Benjamin Franklin High School graduate. 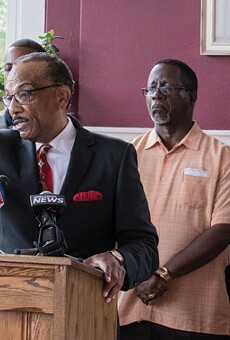 He's married with four children, and his father Bishop Amos Simmons of the Upper Floor Room Family Worship Center on Joseph Avenue. 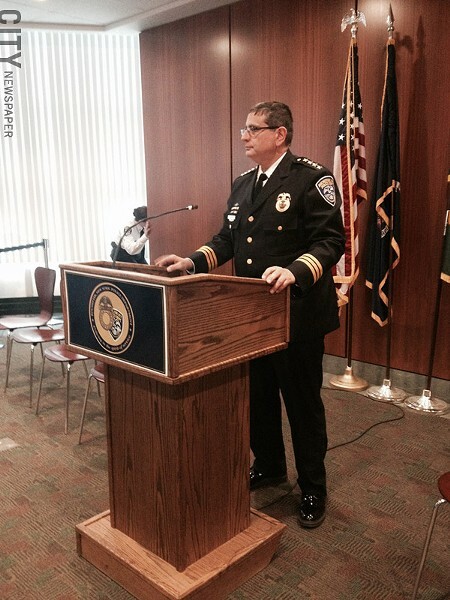 Ciminelli became interim chief in January 2014, at the start of Warren's first mayoral term. She appointed him police chief that March. He previously served as deputy chief of police, and in several other positions and assignments within the office. He's also worked for the DEA in the past.